Those who get into hydroponics are usually some mix of the science geek/DIY type, we care more about function than we do about form. 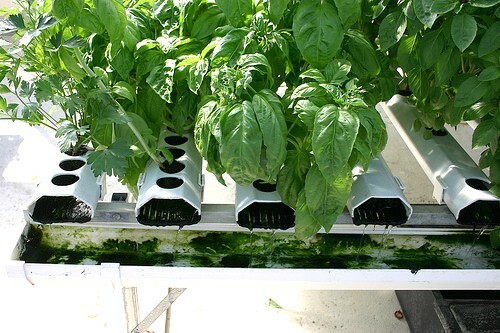 But for anyone who has a wife or any regular visitors, you will inevitably hear about how “ugly” your hydroponics system is (blasphemy, I know, but hear me out). Trust me, I don’t get it either, but for those of us who still have to keep up appearances in our yards, Zero Mile Farms just came through with some new models of their flagship Venturi powered DWC system (The Fizzy Farm) that is sure to impress . So what they did here is they made a cypress enclosure that the Fizzy Farm fits snuggly into, in order to give it the look of a more traditional planter. Not bad Zero Mile Farms, not bad at all. But while the Fizzy Farm Classic adds a little extra pizzaz to what is already the best indoor/outdoor DWC on the market, Zero Mile Farms decided to take it a step further by by creating a second model, the Fizzy Farm Tall, which not only makes the system easy on the eyes, but also ads functionality that makes it easy on the gardener. The Fizzy Farm Tall includes the cypress enclosure but also has has a trellis/light fixture holder that goes over the entire unit, bringing a whole new level of functionality to this already amazing system. Throw a trellis net over it to grow anything from cucumbers to beans or any other type of vining plant. When it gets too cold outside, hang a lamp from it and bring it inside to continue growing, allowing for year-round crops and indoor/outdoor versatility that few if any other systems can offer. Look damn good while doing it. So if you’re looking to get into outdoor or indoor hydroponics, and want to look good while doing it, consider one of these two new systems from Zero Mile Farms to fill the gap. I own them myself and as you can see above they work like a charm no matter what you are growing, from simple greens to full blow tomatoes. If you ask me, the Fizzy Farm Tall is the best value since you can hang a grow light on it and use it as a trellis, but check out our shop to compare the different models and decide which one is right for you.